Happy March everyone! I had planned on posting this outfit yesterday, but our trip back to the city on Sunday was much longer than anticipated because of bad weather. We spent the weekend skiing in Vermont and it was a great getaway out of the city. I wore this outfit on Saturday after a day of skiing and I have to say it was freezing outside. In between shots, I was warming up with my coat trying to stay warm. 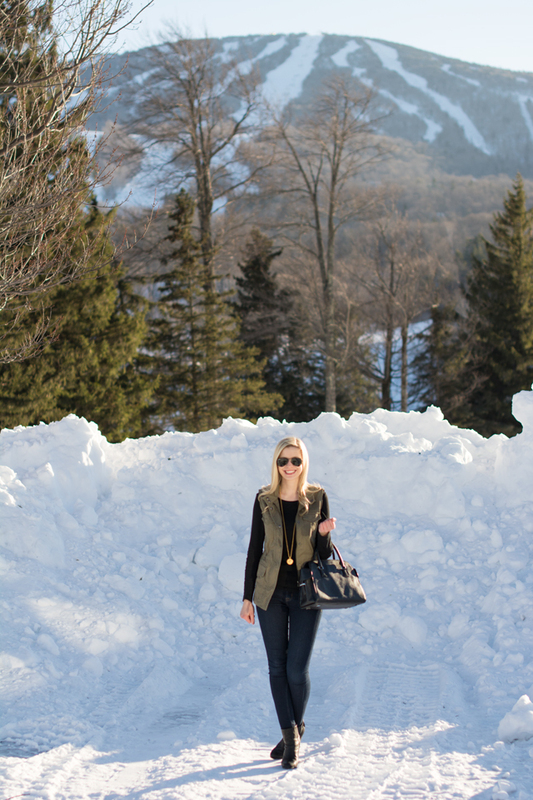 As gorgeous as the white snow can be, I am really ready for some warm weather and for Spring to come. 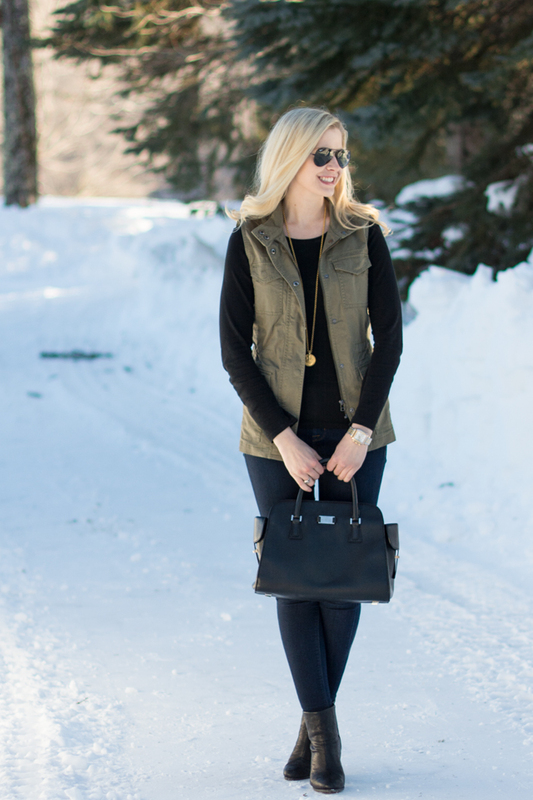 This vest works well now as a layer over sweaters and tees and once the weather does warm up, it will work just as well over dresses. Great outfit, I love how you shot this look by the mountains. 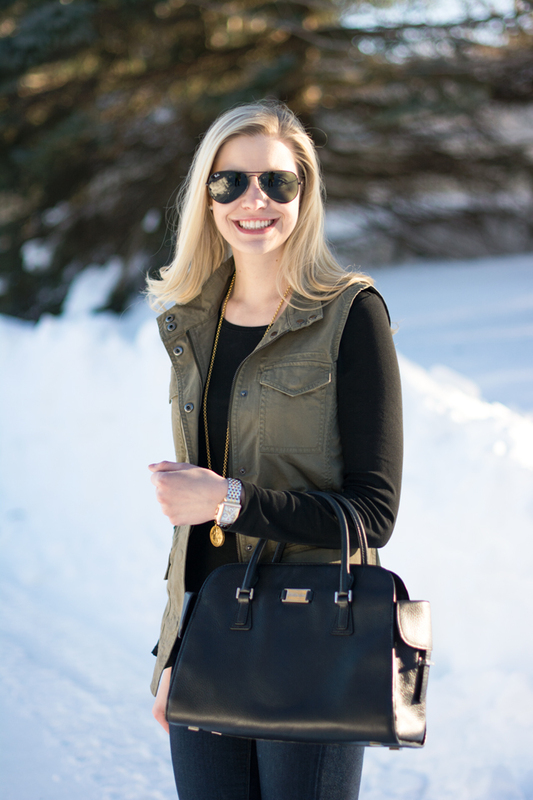 This is a great military/chic look. 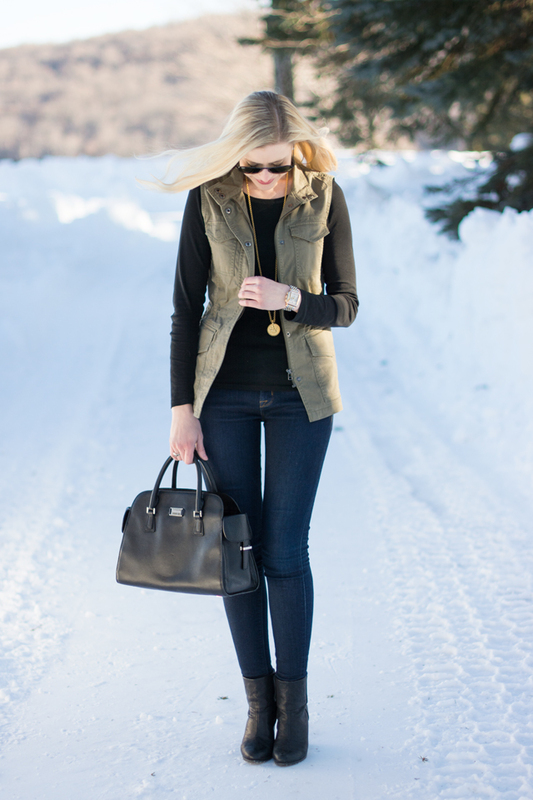 I love that vest with the classic boots! And the necklace is lovely. 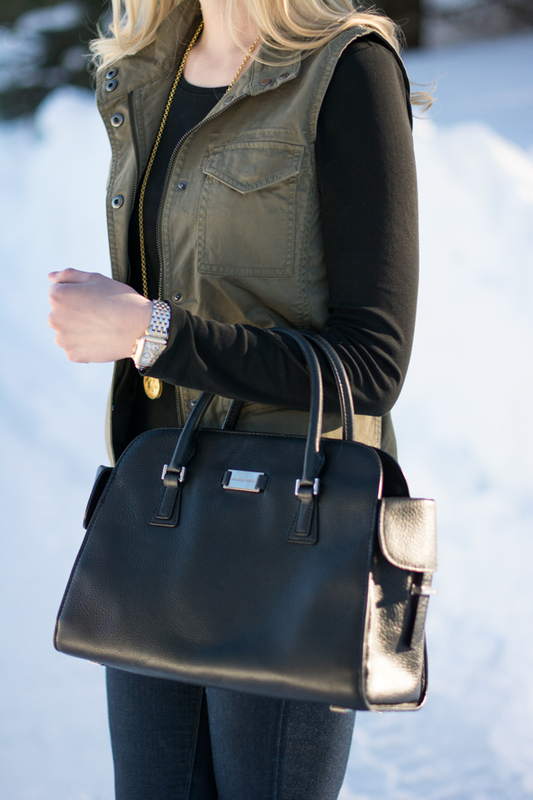 such a classic, tailored look! Thank you for the sweet comment! Your blog is great - I love the layout!